A new Pediatric study published in February 2008 shows that Phthalates a man-made chemical found in personal care and other productscan alter human male reproductive development. Eventhough sources of infant exposure have not been well characterized the risk is well worth noting. I have to confess that I could'nt even pronounce the word 'phthalate' when I first read the article. What this goes to prove is that there is a need for a natural alternative to the synthetic filled products that are out there in the market. I think as the public becomes more aware and begins to read product labels a little closely, they will begin to seek out more natural products. Shea Radiance Mother and Baby Products are 100% Natural and Phthalates Free!! Phthalates are used to help retain color, scent and help increase absorption of personal care products and are likely in most baby products that contain fragrances. You will notice that most commercially produced lotions and creams look so perfect and people like that 'perfect' look and feel. The problem with that type of perfection is that it comes at a price - less of the real stuff and more synthetic fillers. What can you do if you want to decrease your exposure? According to Julies Health Club Journal Manufacturers aren't required to disclose phthalates in the list of product ingredients, so until more is known, the reseachers suggest you refrain from applying baby lotions or powders except for medical reasons. If you see a No. 3 recycling code on a plastic container, toy or tubing, it's probably PVC plastic. 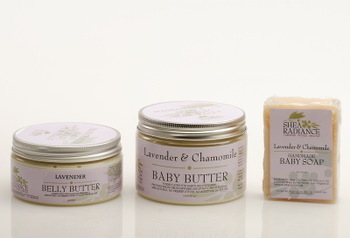 My Recommendation, seek out a natural baby product makers and make your purcahses there. For the past couple of years, I find myself getting increasingly emotional every time Martin Luther King Jr Day comes around. I came to this country as a student about 20 years ago, obtained my Bachelors and Masters Degree and went on to enjoy a successful career in the IT industry. My husband and I live in a fairly affluent community with an excellent school system, so that our children can enjoy the best public education our tax dollars can afford them. As immigrants, or foreign born residents, we enjoy all we have in a large part due to the pain, sacrifices and unquenchable spirit of the African American community. Even though God used Dr king to lead a nationwide movement to bring racial injustice to public consciousness, I know there are millions of unsung heroes in the fight who endured indignities, injury and even death to provide the liberties that so many of us take for granted today. who come to this country and enjoy immense success need to know that it was built on the foundation of the blood, sweat and tears of those who paid the ultimate price for civil rights. I hope as foreign born people, we never forget and appreciate the impact that Dr Kings Dream has on our lives here in the US. 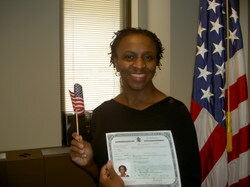 I am now officially a citizen of the United States. I was sworn in this morning at a ceremony in Baltimore city. A solemn yet joyous event. 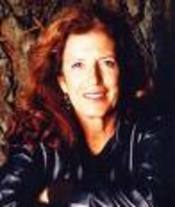 Founder of Body Shop, Dame Anita Roddick, passed away today, September 11th, 2007, after suffering a massive brain hemorrhage. We honor her memory as a pioneer and forward thinker in the area of Fair trade and cruelty-free body care. She brought to the forefront natural ingredients used by indigenous cultures in Africa and South America and made them mainstream. Dame Anita passed away in a hospital in West Sussex this afternoon after complaining about severe headaches. She said to have suffered a massive brain hemorrhage. She will be remembered fondly by all whose lives were touched by her life of activism and compassion.